Is A Mega Church Important? Home Article Category Breaking News Church News Featured Articles Featured Post Trendings Is A Mega Church Important? "Is it necessary after-all to desire a big church?" A mega church is a big church. It may be one big assembly or one church with many assemblies. 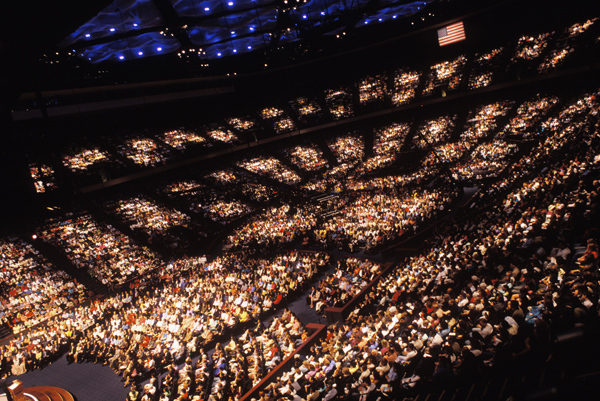 Many argue about the concept of a mega church. Here are a few reasons to show you that a big church is advantageous to the mission of Jesus Christ. - Job 8:7- though thy beginning was small, yet thy latter end shall greatly increase. - Isaiah 2:2- all nations will come to church. - The great commission talks of the ends of the world! 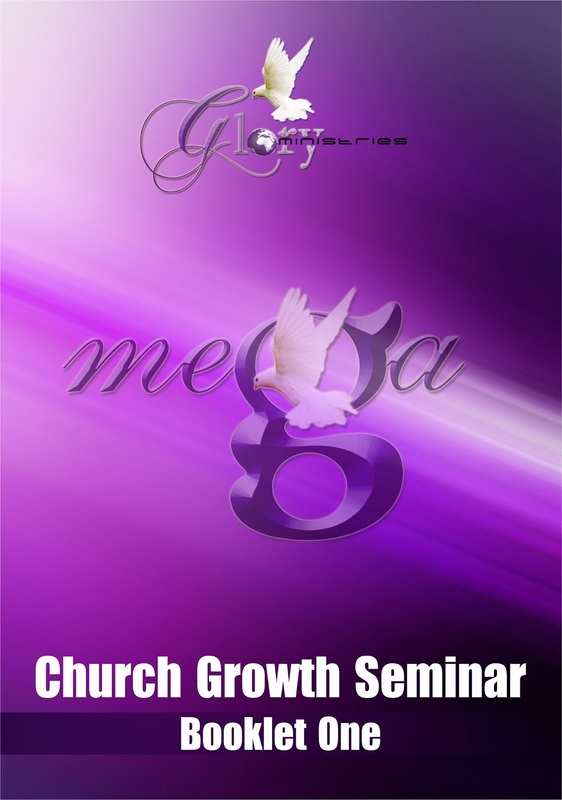 Mega Church may be in one place or in many places. 2. To fulfil the prophetic words that have been spoken to us. what prophetic word has been given to you? does it indicate that you should have influence over many people? That word is a rhema word from God and you must work to fulfil the word. 3. It is the pattern of the New Testament church. Look at the 12. They expanded from 12 Peter preached to 120(Ac 1:15), to 3120(Ac 2:41),then 5000 men(Ac 4:4),if everyone was married and had one child that would amount to 18 120 were added lord added daily such as were being saved,(Ac 5:13),18 485(Ac 6:1)multiplied 36 970,(Ac 6:7)multiplied a minimum of 73 940 by end of chapter 6! What would happen if one brought in 2 souls again by end of the year? No wonder why they said, these men are turning the world up-side down! According to Chip Ingram the early church in the first year of its existence it had no less than 100 000 members. In a mega church there is need for multiple ministries and these indeed arise, like multiple evangelism teams, multiple choirs and the like! The number of ministries is in proportion to the number of people you have in your church. In Ac 5 and 7 even deacons are becoming evangelists, apostles, prophets are release d into world evangelism and churches were planted all over the Roman World. Special ministries also come up as people move to work. Ministries like Compassion, to the refugees, orphans, disabled, street kids and this opens even great blessings for the church Psalm 41:1-2. Small churches have no capacity to reach out in special ministries. The sight of large crowds generates excitement and expectation. Where faith is high the people drain out all from the minister and it is generally easier to have miracles and multiplied miracles! Wherever Jesus was there were multitudes and many signs were performed. He had a mega ministry! The more the people we have the easier evangelism becomes because each one inviting just one makes a great difference plus numbers attract people Matthew 9:37. The fewer people we have, the more captives satan has! Ministry can never be judged by the fact that the pastor has all his needs met! Have we met our master’s need as in Mark 16:15-16. The cell ministry to try and give adequate pastoral ministry to all will also provide an automatic evangelism effect! When people become many it becomes easier to have rotational prayer meetings and counselling e.g 24 hr prayer, intercession and counselling! More prayer is generated! Tudor Bismark tells of how he went to a place and while he was a Friday-night meeting heard people praying in the hills. He was told they pray from Friday right up to the Sunday morning service. This is easily possible in a mega church. At a time the government in South Korea were having trouble with their people and the called Paul Yongii Choo. He called for a prayer meeting and a million attended and he literally silenced the devil! It is said at any given time, about 50 000 people from Choo’s church are praying. It is easier to generate funds for the work of God when the church is big. A church with a hundred people will need individuals to contribute $10 to raise a thousand dollars while that with 2000 members needs only 50c individually! This is the easiest way to fund God’s work and to buy as many assets! This ultimately gives the church a sense of permanence! A church with many people has an easier task meeting out its budgets Ac 4:34-35. Apostle Sibiya leads many churches. He teaches on Church Growth. It is obvious that more people means more man-power in all aspects of the ministry. According to J.C Maxwell, usually 20% of the church do 80% of the work. Raising the numbers of people means the 20% also gets a lift! Matthew 9:37-38. 11. More people means more weddings! When you are in a small church people will tell you they cannot find someone to marry! With special note are older ladies, widows, single mothers who are left with no option but to go their way and take someone from outside the church and most times even outside the kingdom. Not so with a big church! Also when weddings are many it means you have multiplied growth through young couples who are truely your own and will self-multiply. This gives stability to the church. Usually a small church fills up with students who cannot even sustain themselves. Big churches fill up with employers and this benefits the younger people as well since to be frankly speaking this world depends on “whom you know!” this gives congregants a sense of security. 13. Mega churches will make sure you do your part in the 25% quota, Matthew 13:4-8. If Chitungwiza has 1 million people then we must have 250 000 in the church and be very productive! Has the church reached this? 14. A mega church improves our percentage ratings. If you pastor a church of 200 people out of a city of 1 million people your influence rate is at 0,02%. Sometimes the devil makes us sleep by just showing us how successful we are, when we have not yet really made it! People clap for us and we think we have already made it with 50 people! Sometimes the moment we have people enough to earn a good salary, drive a nice car, live in a good house we think, “this is it! We are done!” multitudes are still in the valley of decision while we dine and wine with 300 members! 15. What do you think now..?